This villa is no longer available for rent with Ministry of Villas, however we have a wide range of Ministry Approved villas for you to choose from. Please tell us what you’re looking for and we’ll help you find the perfect villa for your holiday. 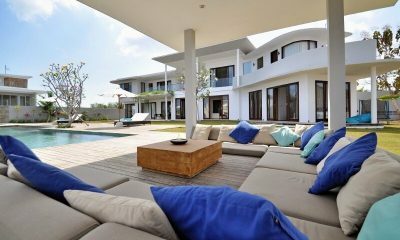 Villa Malekis is a Moroccan villa with sleek modern polish, a cool cinema room and private hammam. Enjoy a luxe modern take on Moroccan luxury at the ultra chic Villa Malekis. Located on the doorstep of the area’s best golf courses, Villa Malekis offers minimalist modern design with an opulent Moroccan finish. This five-bedroom luxury abode is perfect for entertaining large groups, with facilities including a cool cinema room and a private hammam. The manicured gardens include a shimmering swimming pool which can be heated during winter. 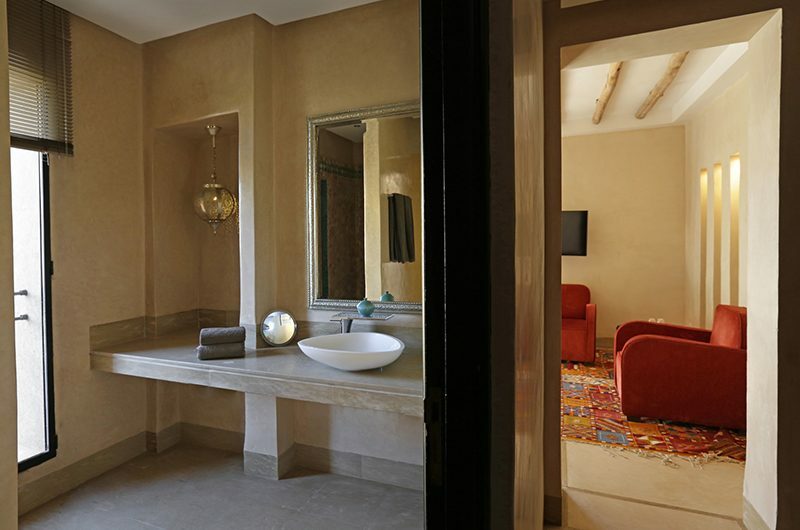 To top it all off, Villa Malekis offers 360-degree views of the Atlas Mountains. 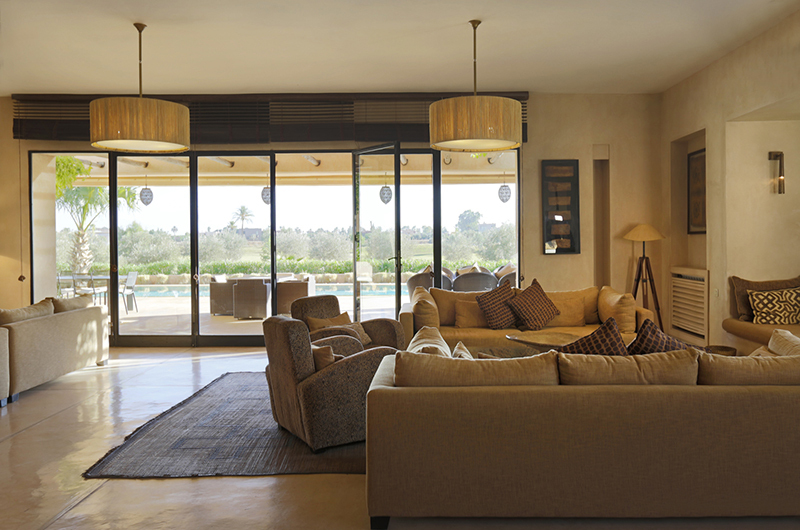 Villa Malekis’s unique interiors are a splendid mix of chic modern living and traditional Moroccan architecture resulting in a one-of-a-kind luxury getaway. Numerous alfresco lounging spots along with high-end amenities provided throughout (hello, private cinema!) make the villa stand out among the rest. The spacious living area spreads over the ground floor, fluidly connecting to the sun deck and a panoramic lounge furnished with a modern fireplace and armchairs. The indoor living space features two lounge sections incorporated into the same open-plan room. Featuring rich furnishings, a log fireplace and a wide-screen TV, the lounge is flanked by large windows offering splendid views of the garden and pool. 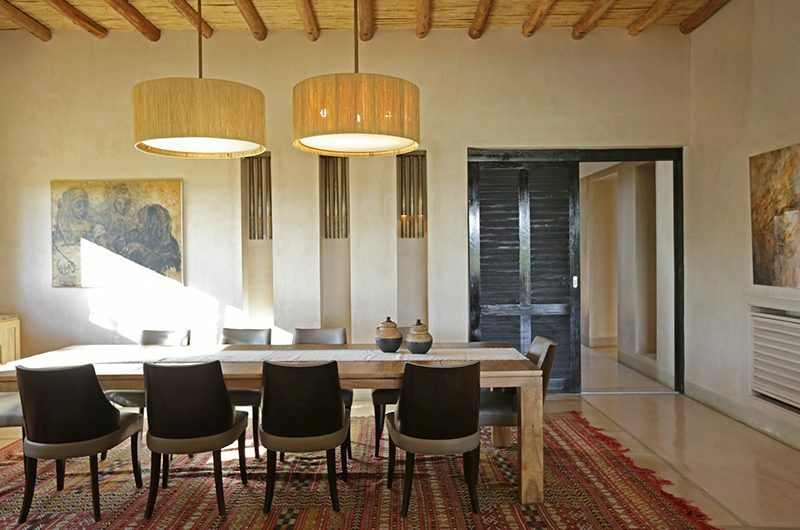 Located behind the living room, a light and elegant dining area offers a large table seating all 10 guests with ease. The villa also includes a well-equipped kitchen for guests’ convenience – though most meals will likely be prepared by the in-house chef! For an alfresco dining experience, Villa Malekis offers an outdoor dining table strategically located on the terrace on the edge of the pool. 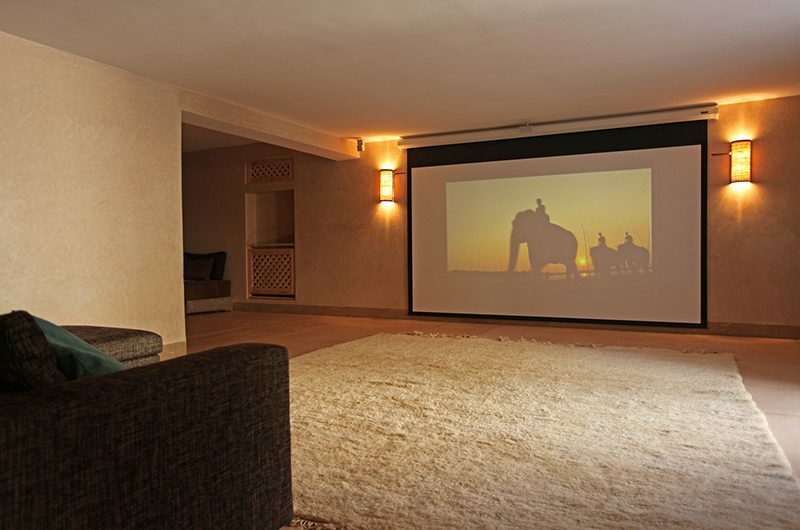 Villa Malekis features a private cinema room equipped with a high-end projector screen and a sink-in sofa hugging the room in an L-shape. Villa Malekis houses private spa facilities complete with a heavenly hammam and a massage room designed for some in-villa pampering. Villa Malekis’s 16-metre swimming pool is suitable for children thanks to generous shallow section – the pool can also be heated during the winter months. Surrounded by a manicured garden, the poolside deck is dotted with comfy loungers perfect for relaxing in style while soaking up the sun. Villa Malekis has five bedrooms. One room has two single beds and four rooms have split beds which can be set up as a king or two single beds as needed. There are two bedrooms on the ground floor and three rooms are housed upstairs. The first bedroom is located on the ground floor and comes with two single beds and an adjoining lounge area. The ensuite bathroom has a shower. Also located on the ground floor, the second bedroom comes with two single beds which can also be set up as a king if need be. The room has a dressing room and an ensuite bathroom with a bathtub and shower. 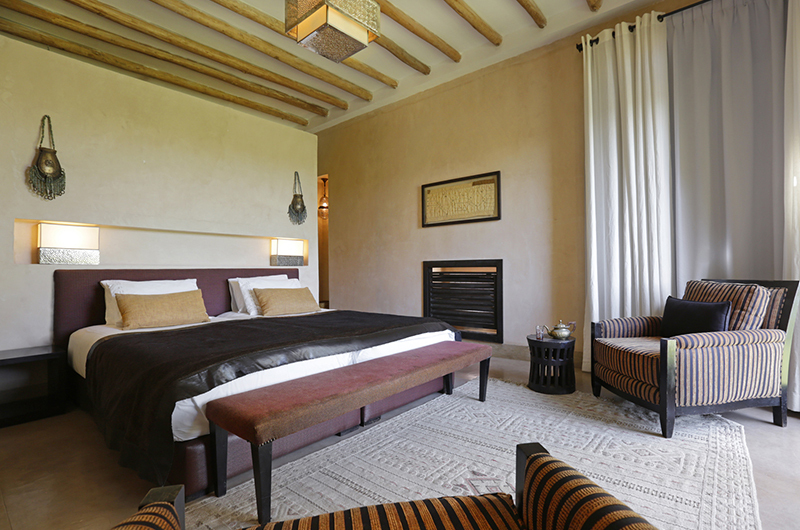 The third bedroom is located upstairs and features two single beds which can be joined into a king. The room has an ensuite bathroom with a shower. 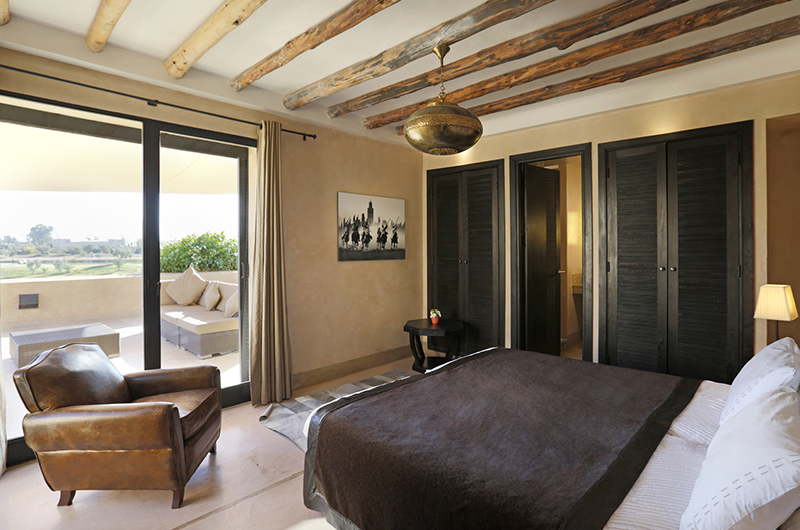 The fourth bedroom shares a large balcony with bedroom 5 with views of the golf course. 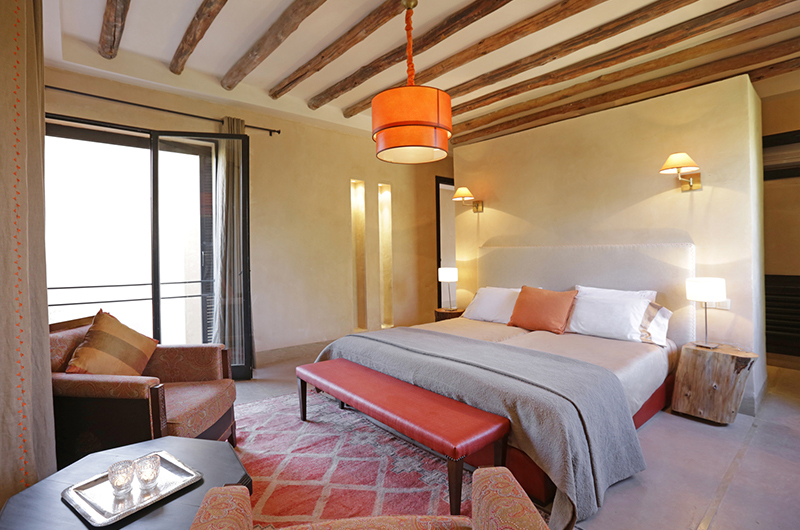 The room has two single beds (convertible into a king) and an ensuite bathroom with a shower. 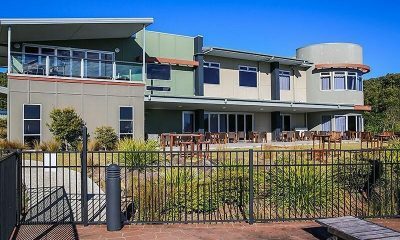 The fifth bedroom shares a large balcony with bedroom 4 with views of the golf course. The room has two single beds (convertible into a king) and an ensuite bathroom with a shower. Villa Malekis houses five bedrooms with ensuite bathrooms, spacious living and dining areas and a state-of-the-art media room. The outdoor living areas include a private 16 x 4 metre swimming pool. 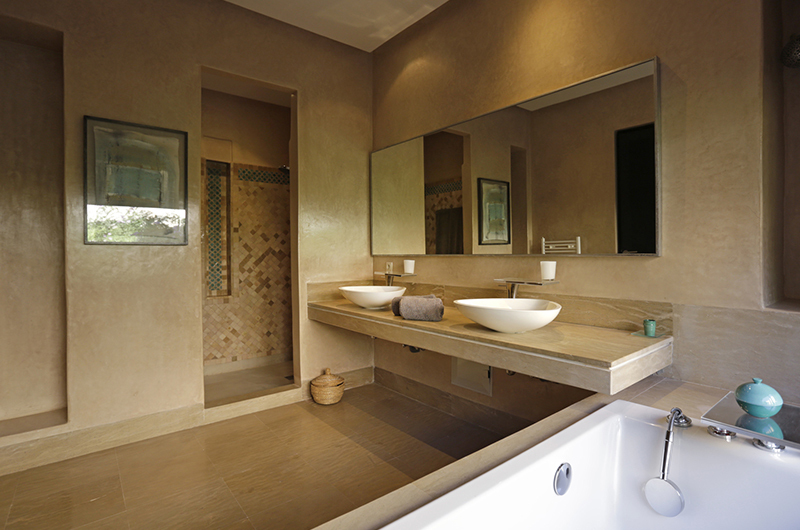 The villa also has private spa facilities with an exclusive hammam. Your stay in Villa Malekis is made enjoyable by the professional staff. Villa Malekis’s staff have been professionally trained and will do their utmost to please with their warm and friendly hospitality. Villa Malekis’s experienced and knowledgeable manager is responsible for the overall operation of the villa. The villa manager will oversee and coordinate the staff and property and assist you during your stay. Villa Malekis offers half board and all inclusive dining packages. The half board option includes a full breakfast and lunch or dinner. The all inclusive option includes breakfast, lunch and dinner. The villa offers a suggestion menu mainly focusing on Moroccan cuisine and special diets can also be accommodated. Villa Malekis includes 24-hour security. 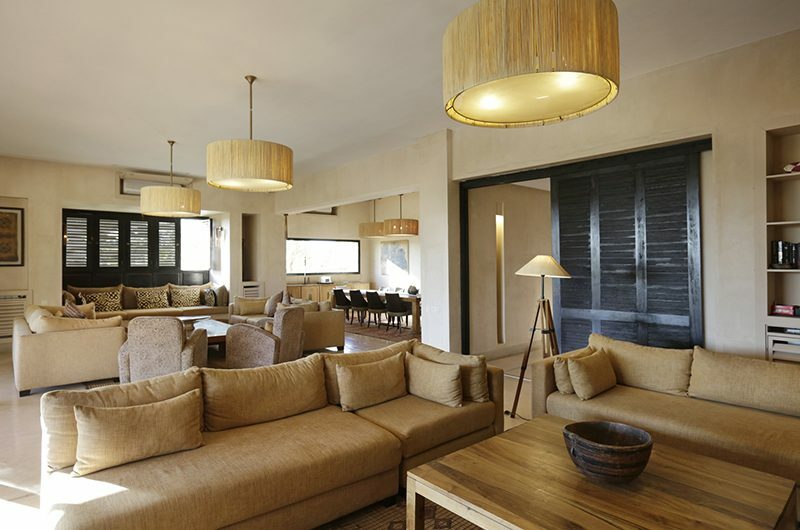 Villa Malekis offers a prime location in Marrakesh, Morocco, surrounded by some of the best golf courses in the country. 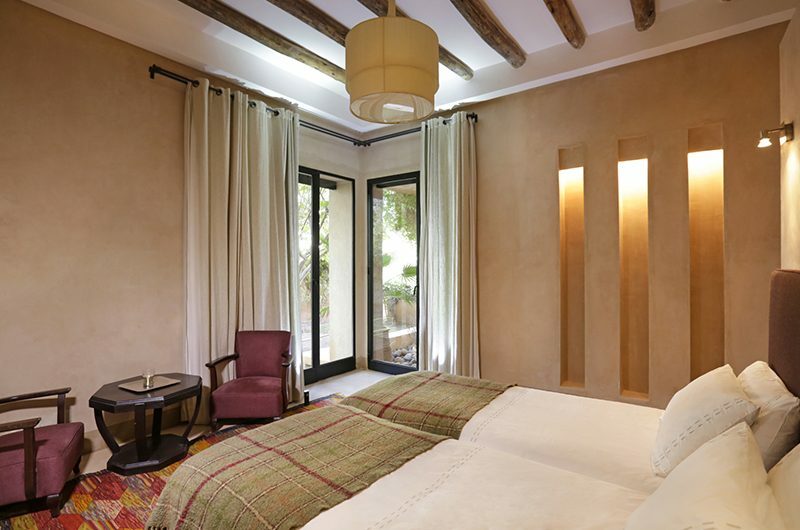 Royal Golf Marrakesh is located right outside the villa complex where Villa Malekis is based. 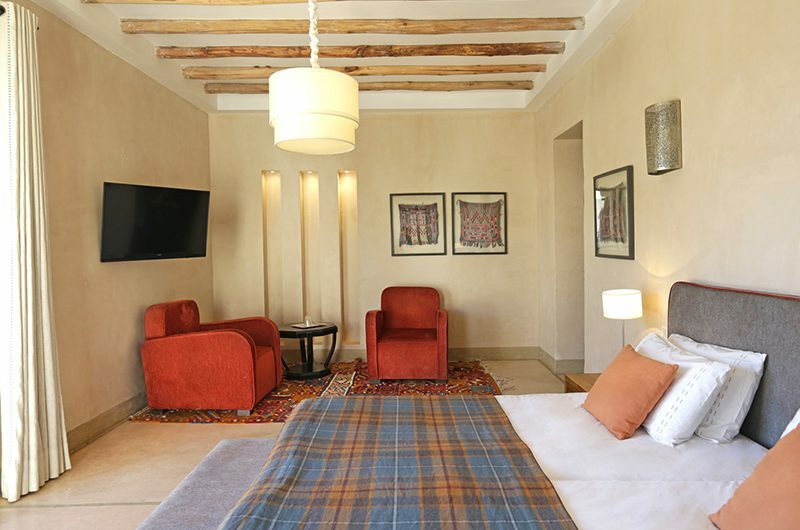 Villa Malekis is located just 10 minutes outside the centre of Marrakesh where you can enjoy great shopping and dining along with historic and cultural sightseeing. 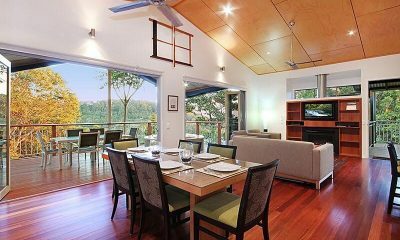 O’Reilly’s is a complex of exotic villas offering a view of the rainforests and valleys in the Southeastern part of Queensland. WOW! 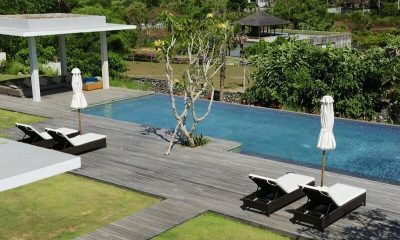 Villa Balangan Sunset is located in a very quiet area of the famous Bukit in Bali, 300 meters from the beach.